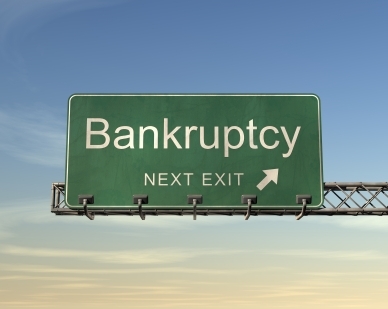 Many bankruptcy attorneys are concerned about the efficiency of their process. By definition, at least the debtor has limited funds to pay for an engagement. This impacts the creditors who may not see a full recovery on their claim. As a result, many bankruptcy practitioners are leery of spending any resources on electronic discovery. This podcast was created to share the experiences of Bob Bernstein, a bankrupcty practitioner in Pittsburgh, PA with Bernstein Law Firm and Jeffrey Ritter, an electronic discovery consultant from the Waters Edge who has just written a book on electronic discovery and the bankruptcy process called Discovering the Digital Record-The Questions for Examination. Bob Bernstein is the Managing Partner at Bernstein Law Firm and the author of P.A.I.D.&#153: A Guide to Getting Paid Faster (and What to Do if You Don’t). He serves as both president and treasurer of the Commercial Law League of America, North America’s oldest creditor rights organization. Bernstein is president of the American Board of Certification, the country’s only bankruptcy and creditors’ rights certifying organization. Bernstein also works on several committees within the Allegheny County Bar Association where he is past president of the Bankruptcy and Commercial Law Section, the Technology Utilization Committee and other committees. He is also the founder of the Lease Enforcement Attorney Network (LEAN). Bernstein has been named a Pennsylvania Super Law from 2004 – 2008 and was also named as one of the 2009 Best Lawyers in America by his peers in the field of Bankruptcy. Jeffrey Ritter is recognized globally as one of the most influential voices at the intersection of law and technology. He is a pioneer in shaping the legal rules for cyberspace and addressing the value of digital information as property, whether in the board room, the court room, the legislature, or a network operations center. Through his company, Waters Edge, Jeffrey delivers training, assessment and strategic design services that enable companies to build trusted information systems. Waters Edge also publishes the CastleQuest Discovery Library, a growing library of functional, authoritative books, maps and practice tools for managing digital information with legal value. In electronic discovery, Jeffrey has been a passionate advocate for developing the rules for digital information as evidence, beginning with the first paper bubmitted in 1995 to the US Judiciary Conference from his ABA Committee. He serves on the Georgetown Law School E-Discovery Institute Advisory Board, is a member of the faculty for the 2009 E-Discovery Academy and authored the ground-breaking book examining law firm competency – Evaluating the Electronic Discovery Capabilities of Outside Law Firms. Through Waters Edge, Jeffrey trains law firms, lawyers, and corporate enterprise teams on managing electronic information as evidence. How is electronic discovery shaping the foreclosure mess and assist homeowners facing foreclosure? Learn how using today’s automated search tools may be the only way to uncover fraudulent conveyances and to determine the financial maneuvering of the debtor when you have limited resources. What works and what you should be concerned about before embarking on electronic discovery in a bankruptcy case. What some of the electronic discovery concerns are when facing a bankruptcy process? Why bankruptcy attorneys need to understand Electronically Stored Information (ESI).